At All About Storage – Fowler, we take pride in being able to provide storage options for people in the Monroe, NC community. We offer a variety of self storage units for rent, including spacious parking spots and outdoor storage units. All of these are available for competitive rates as we’re here to give our tenants a practical way to keep their belongings safe. We’re located northwest of town on Fowler Secrest Road, and you can feel comfortable driving up to our well-lit facility. We’re just off of Highway 74, near a number of popular shopping centers, and we’re directly across the street from the Highway Patrol Headquarters. This ideal location makes it easy to stop by while you’re running errands or headed out for the weekend. Because we have a gated entry system, you’ll be provided with a unique entry access code. We record all activity with our surveillance cameras, and our digital recording system is regularly maintained. Whether you need access to your things early in the morning or late at night, you can come any day of the week from 6am – 12am. 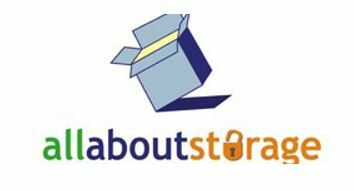 Anyone in the Monroe area can turn to the professional and friendly staff at All About Storage – Fowler for assistance. Contact us today to rent your self storage unit. You can see how easy it is to free up space at your place by taking advantage of our facility. Diana was really nice & helpful. She was very professional, which made me feel comfortable with your storage facility. I just want to thank you for the wonderful help Diana R. was to me. She helped me in every way with filling out forms & was so patient. What joy to see people with such a wonderful helpful personality. She was truly a blessing. Diana was very helpful in our RV storage. She is an asset to this business. I would do business again with All About Storage. I would recommend this facility very highly. It's clean and well lit. The staff (Ms. Diana) is very courteous & she always takes the time to answer all questions. If you are looking for storage, this is the place my family uses.